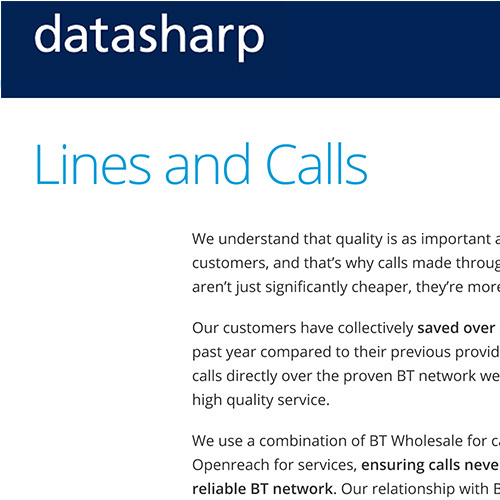 Developing engaging sales text for the new Datasharp website to a tight timescale. 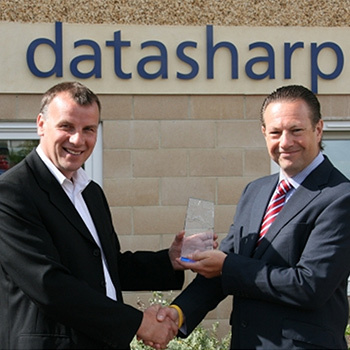 Datasharp is an award winning provider of business telecommunications and network services. Pepper was appointed to provide technical copy for Datasharp’s new website. The company has a range of complex products available to its corporate clients, and its previous sales text was not as effective as it might be in making these products attractive to prospective buyers. Pepper developed text for the new website that was considerably shorter and more engaging, yet maintained the key points that clients would need to make a purchasing decision. The copy was completed to a very tight timescale and to a high standard, with excellent feedback from the Datasharp website team. Pepper PR & Marketing are able to take a great deal of complex, technical content and turn it into engaging marketing copy both with accuracy and to tight deadlines. I wouldn't hesitate at all in recommending them.